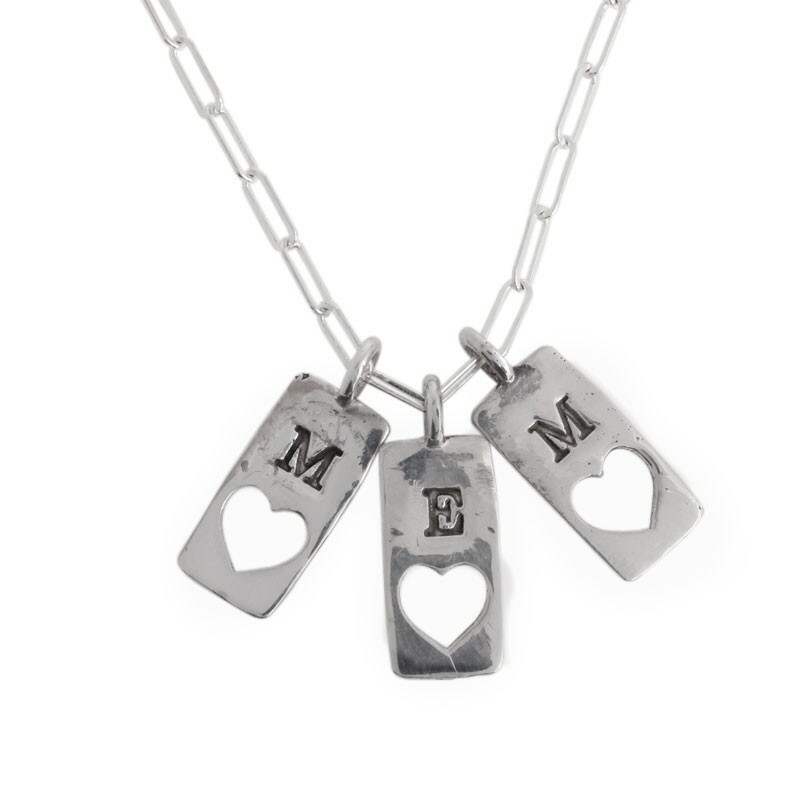 Mother's Day gifts from Nelle and Lizzy will be heirlooms she will cherish forever. 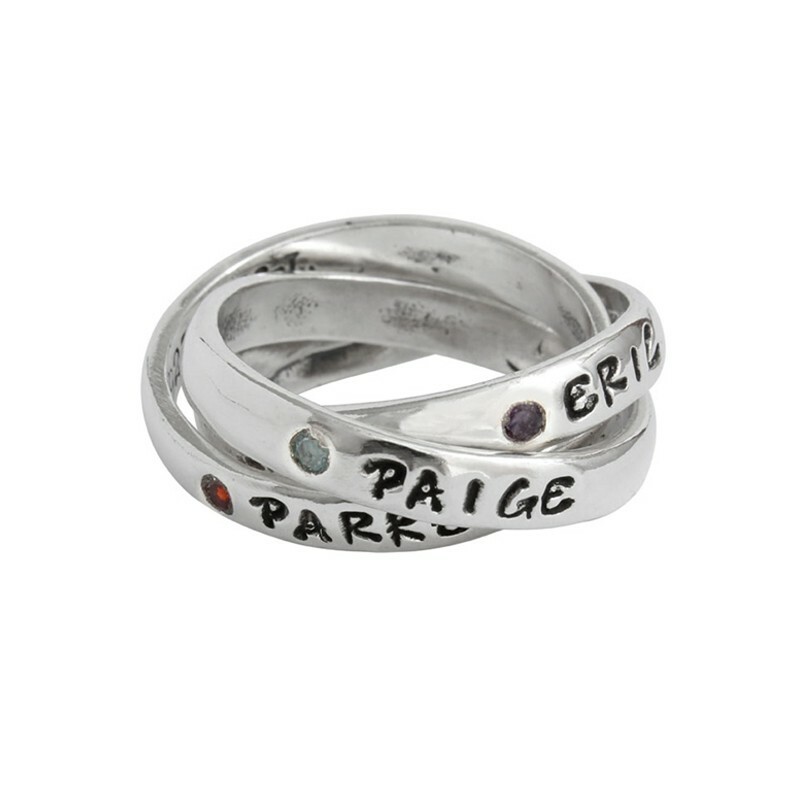 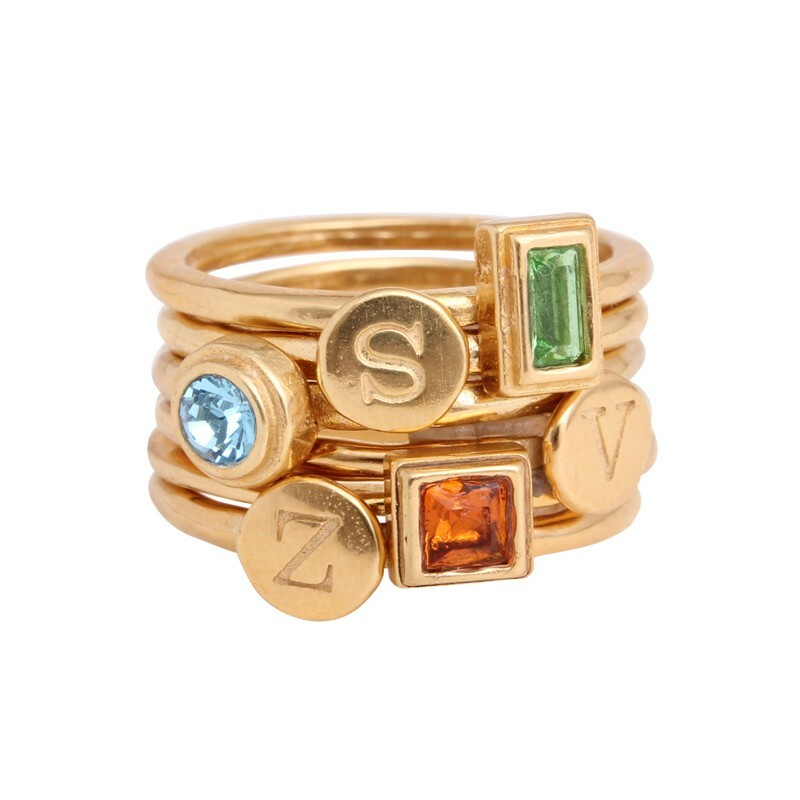 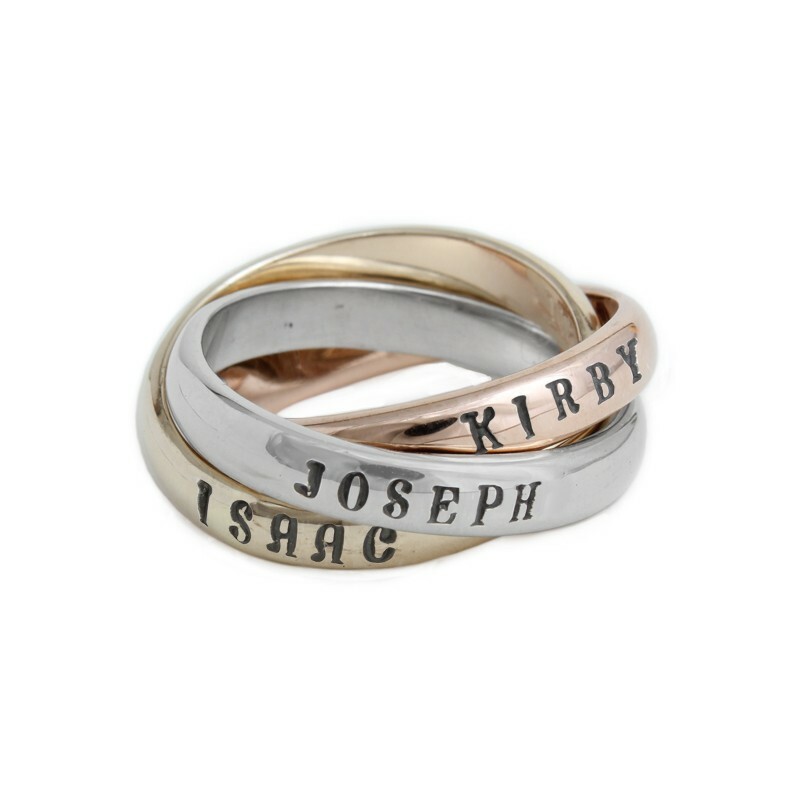 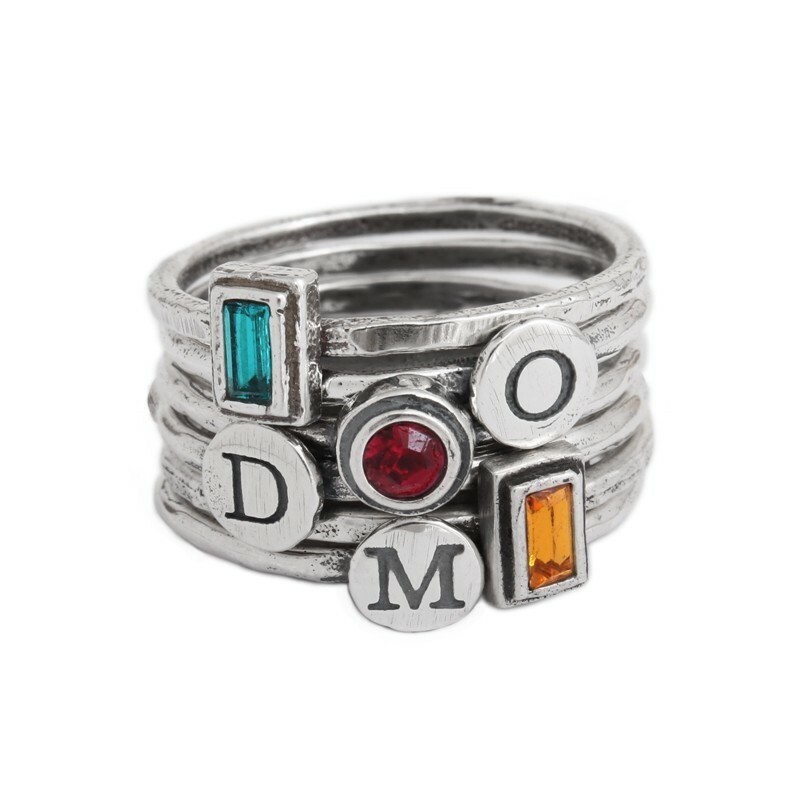 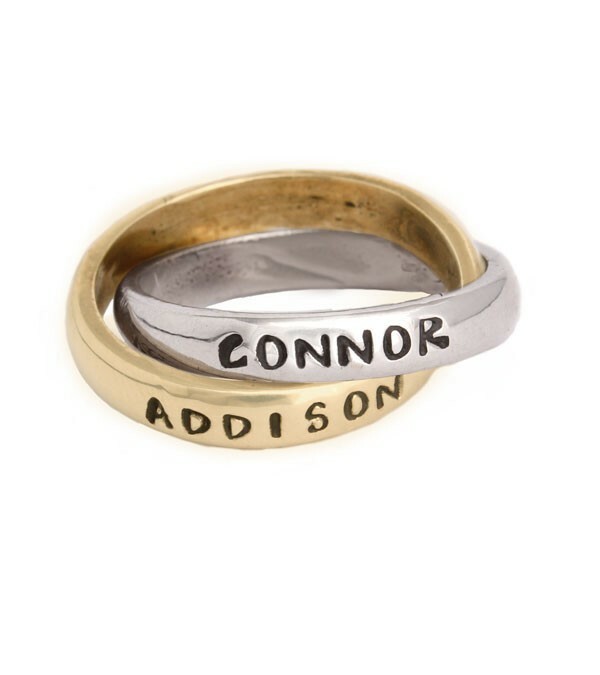 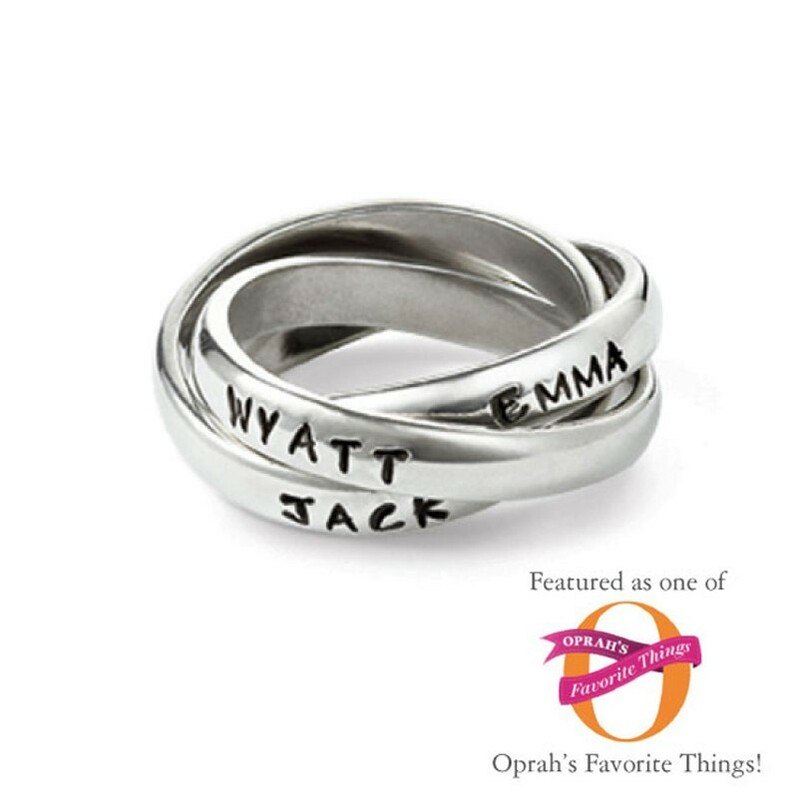 Choose from our stamped name rings, our stacked birthstone rings or design your own mother's ring using initial and birthstone stack rings. 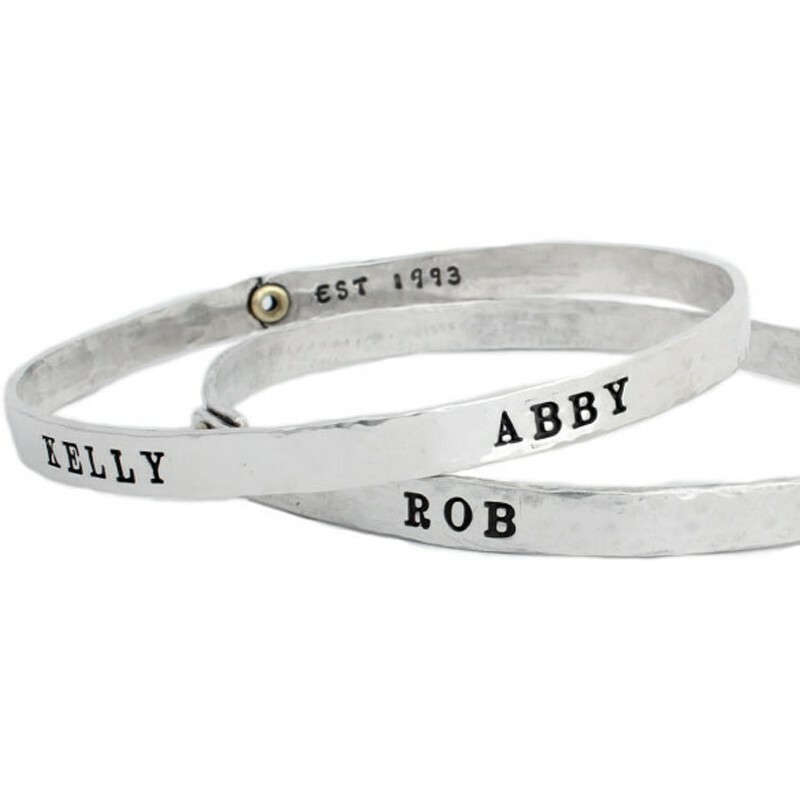 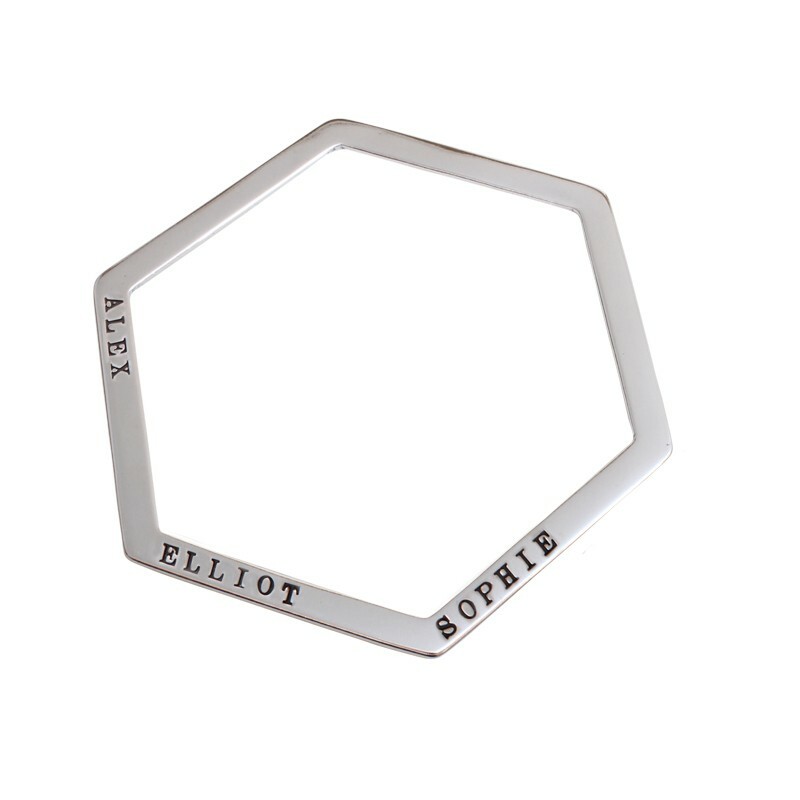 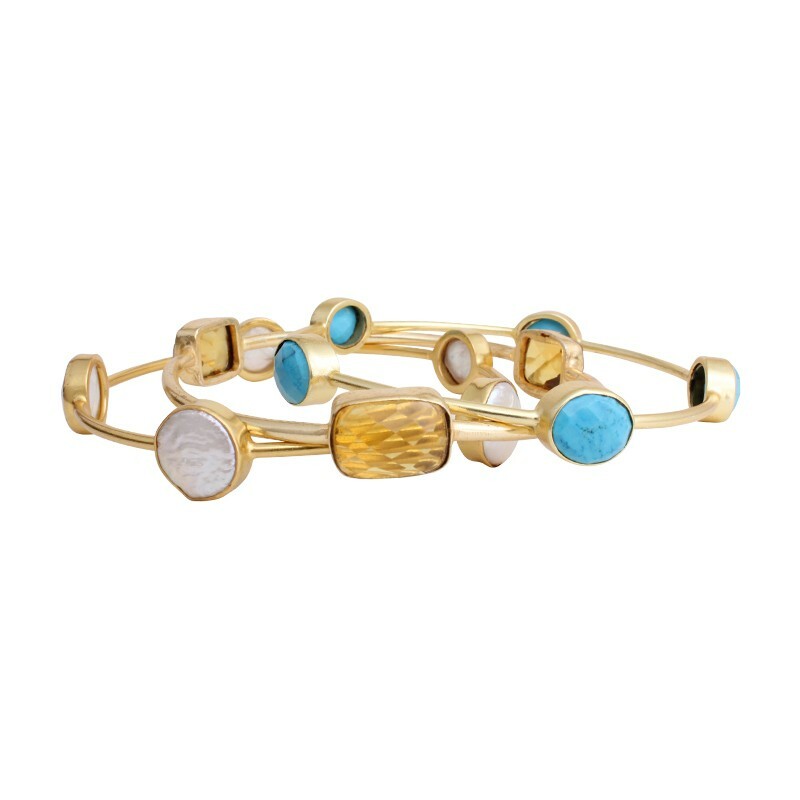 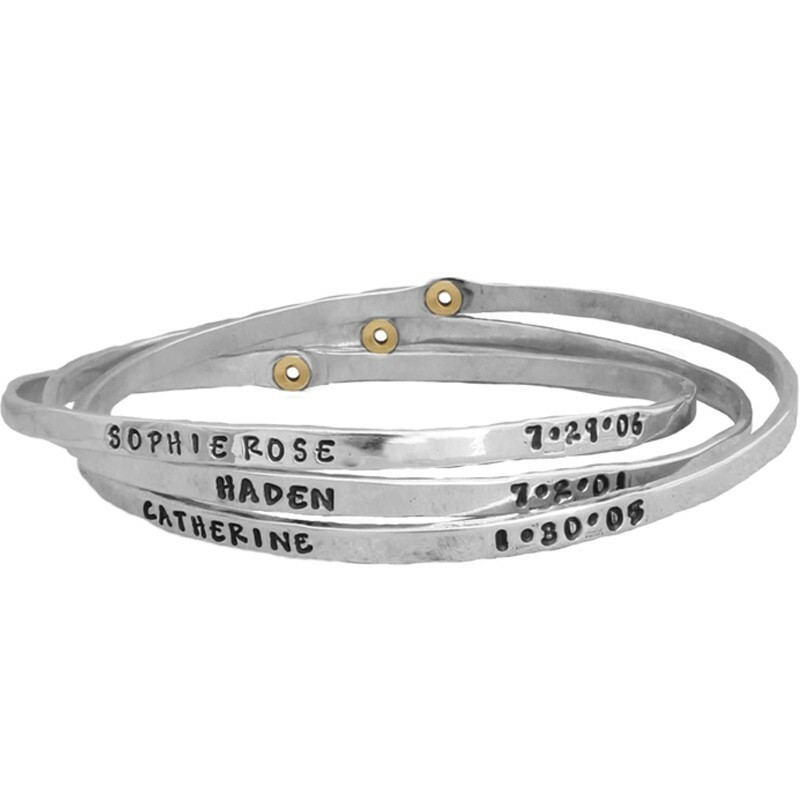 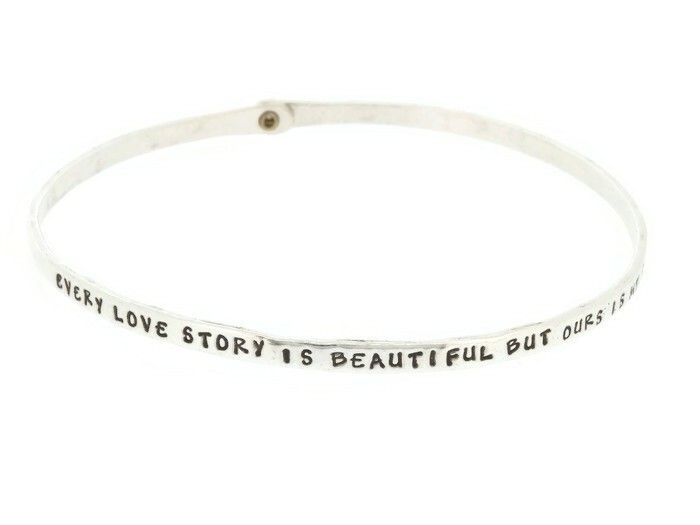 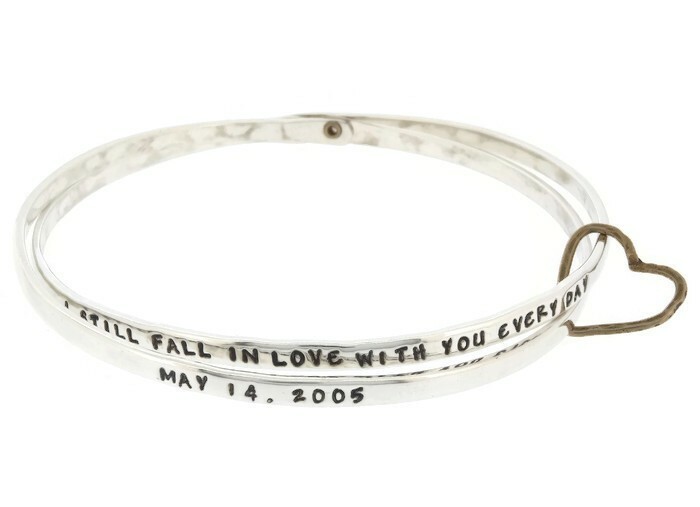 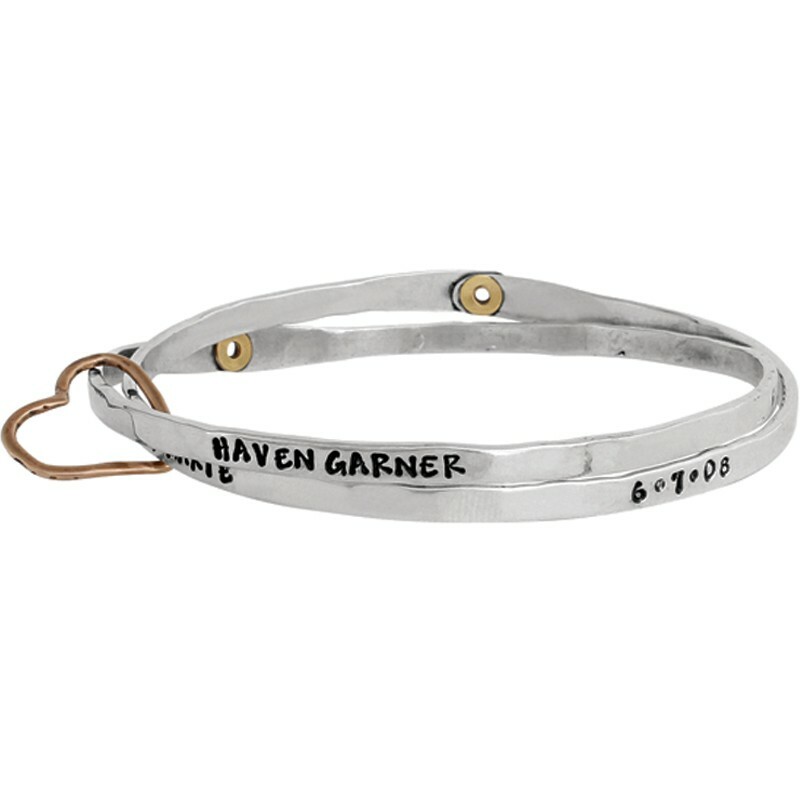 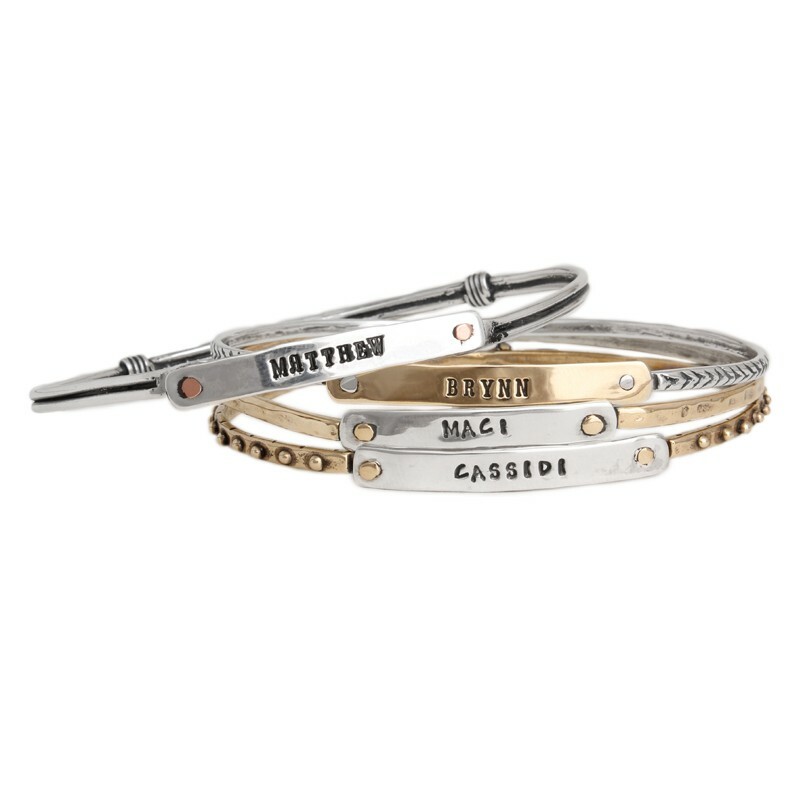 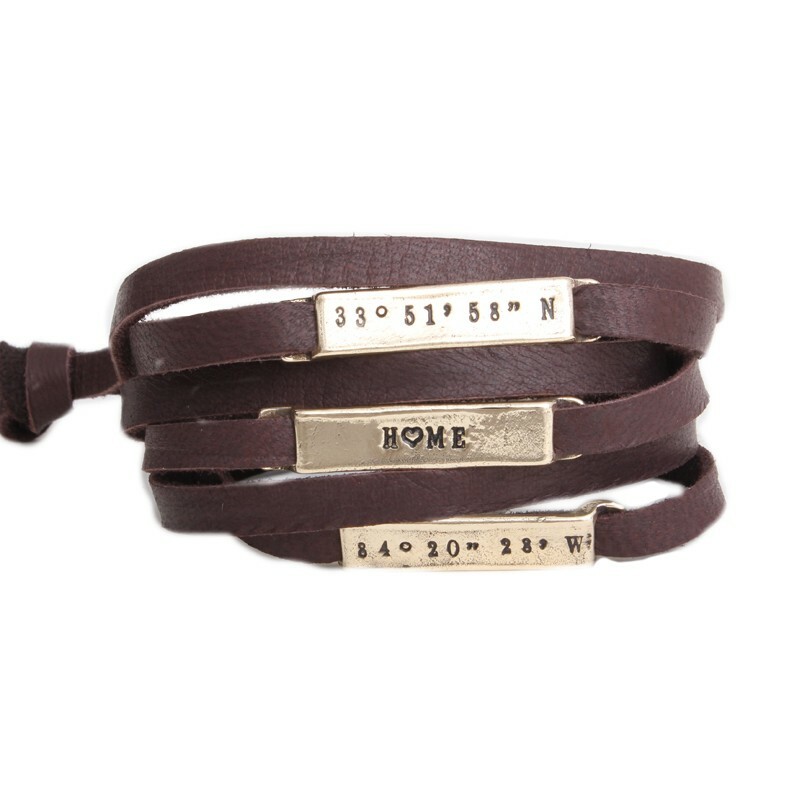 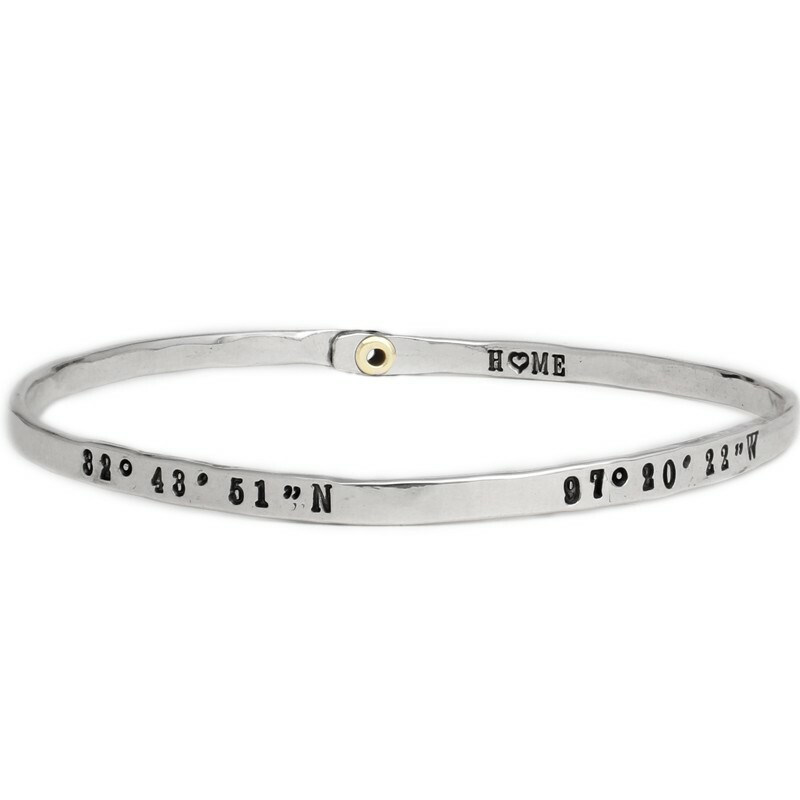 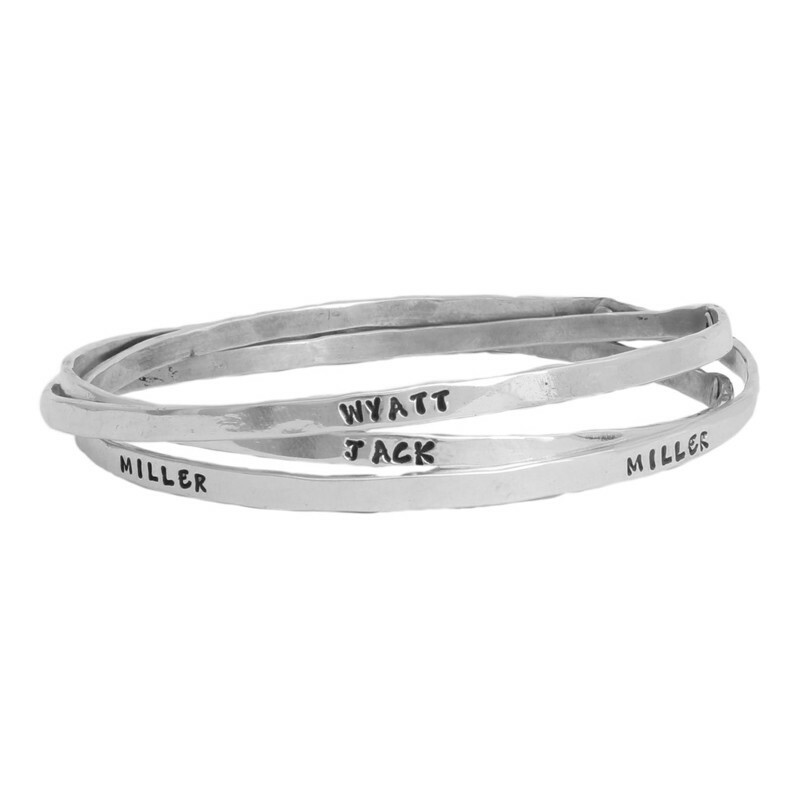 We also have a wide variety of stack bangle bracelets ~ choose from our name bangles, Family Bracelets or the Beloved Bangle, one of our most popular designs. 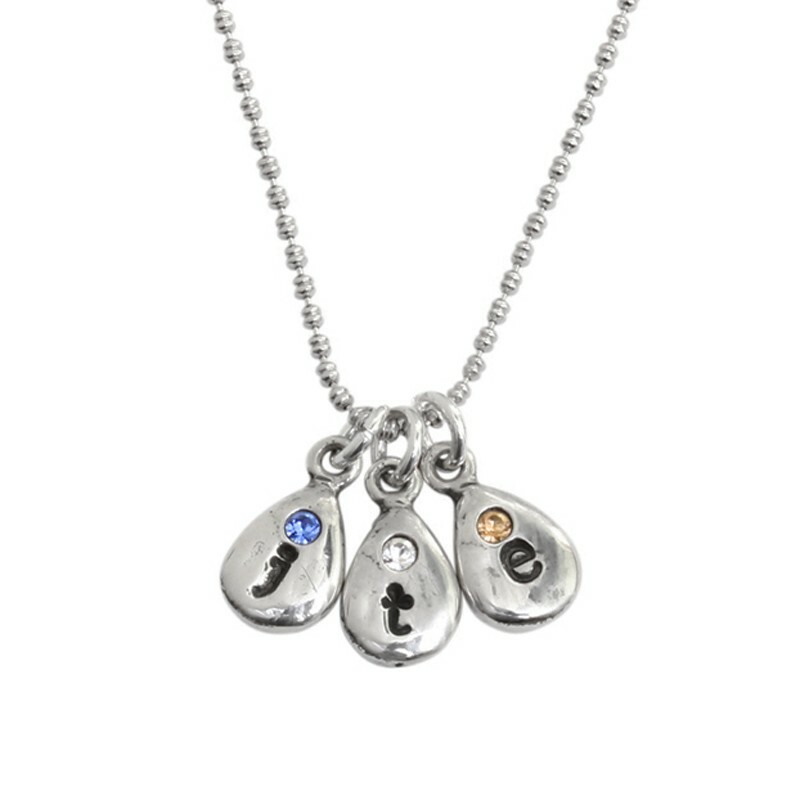 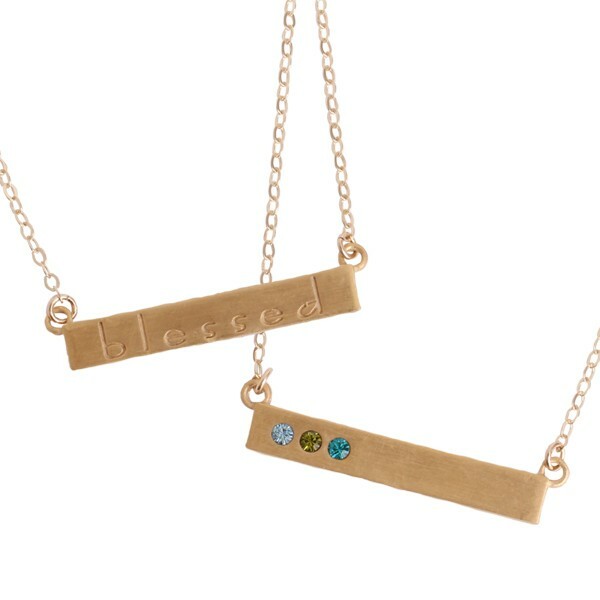 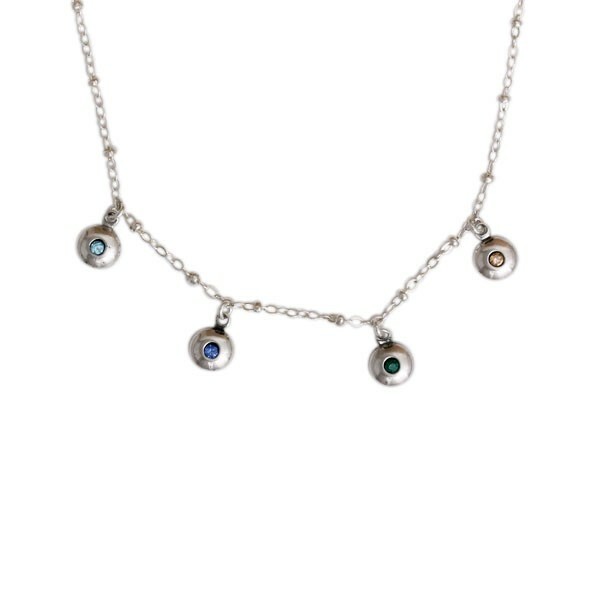 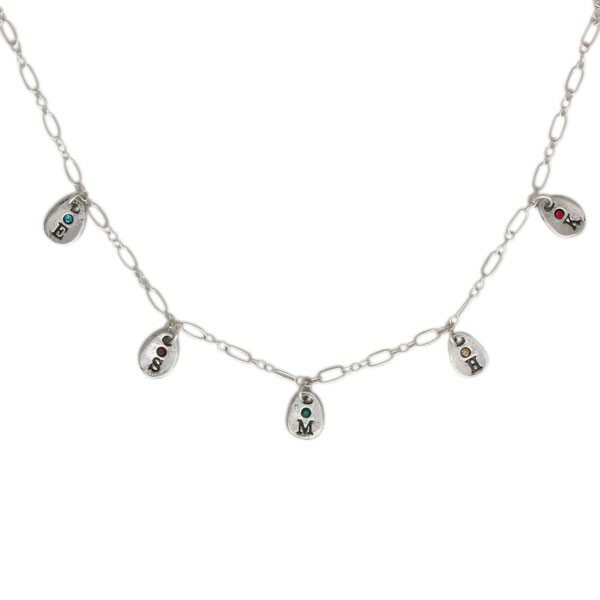 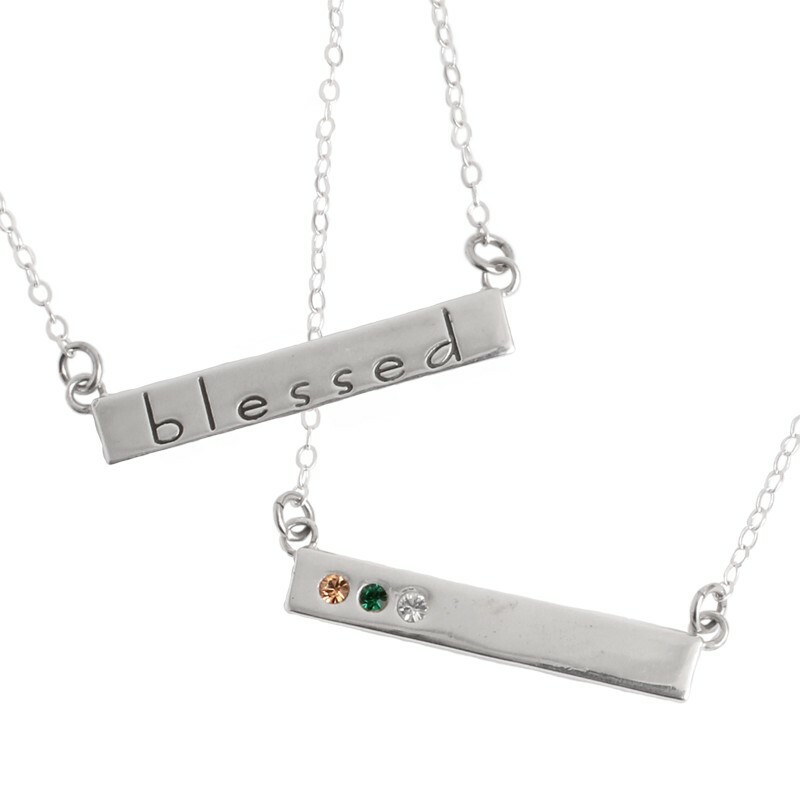 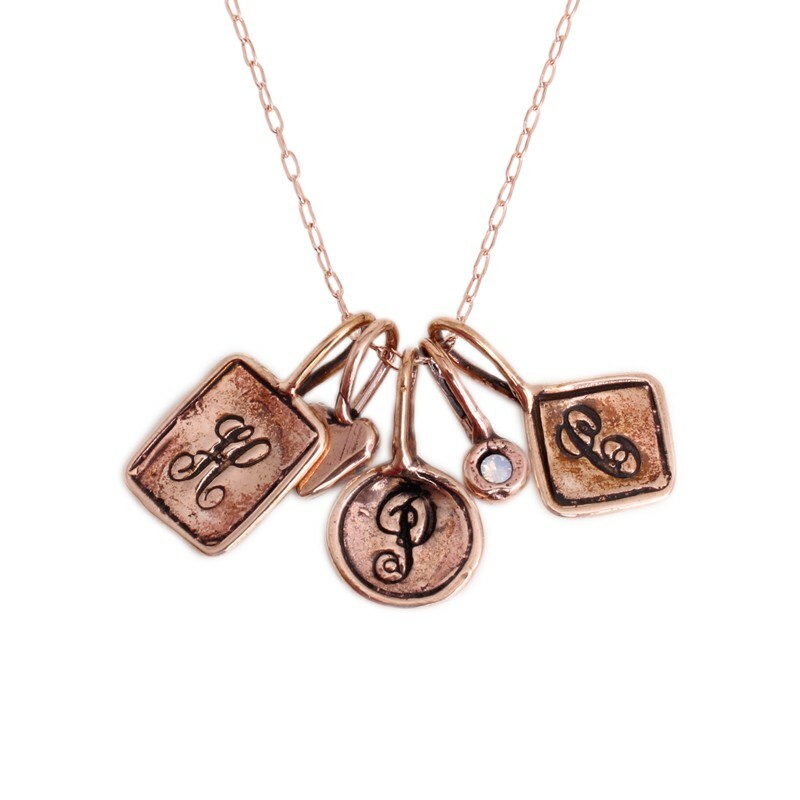 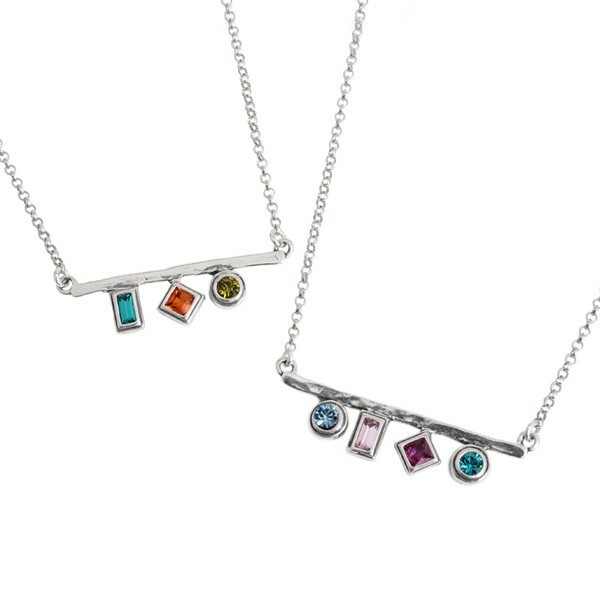 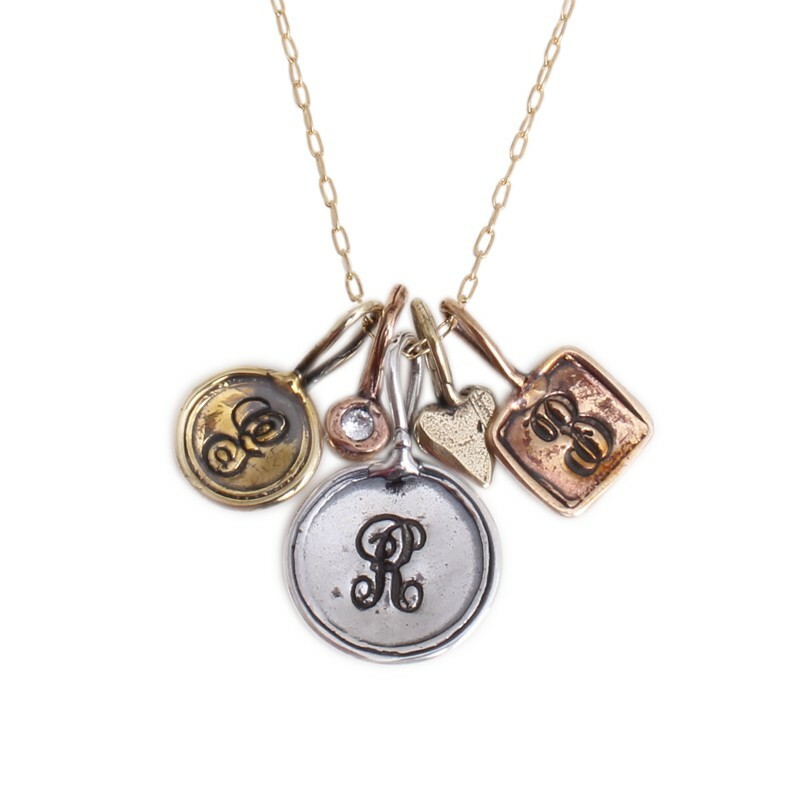 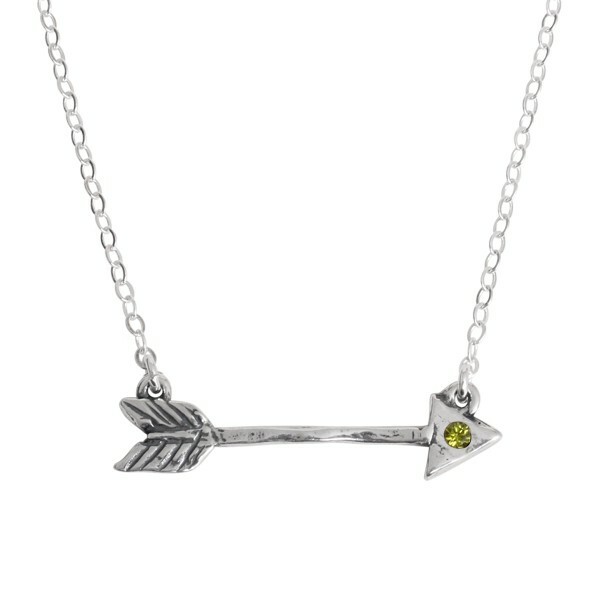 And if a necklace is what you need ~ N&L has some beautiful initial necklaces and birthstone necklaces. 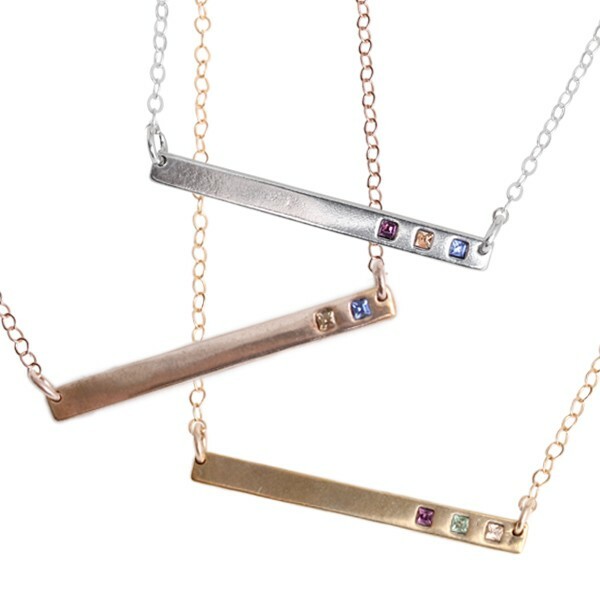 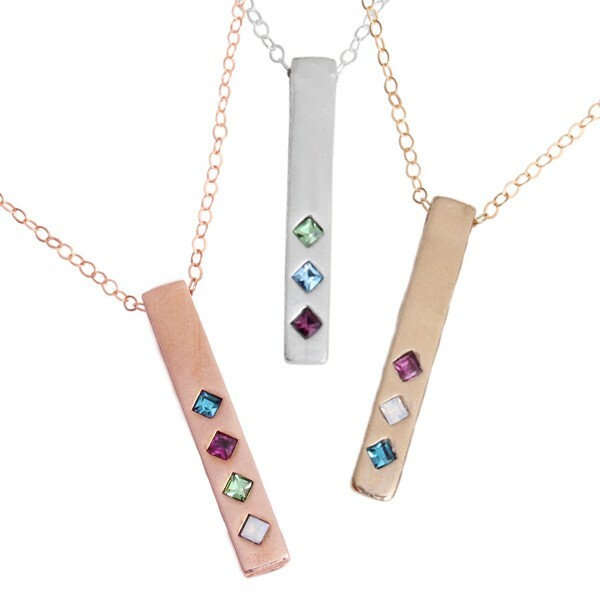 "Birthstone Bar Necklaces in Gold, Silver and Rose Gold ~ Gratitude Necklace"
"Birthstone Bar Necklace, Family Totem"
"Silver Bar Necklace with Birthstones, Count your Blessings Bar Necklace"
"Latitude and Longitude Bracelet Silver, Home is Where the Heart is Bracelet"
"Personalized Mother's Charm Necklace Droplet with Birthstone Silver, Hand Stamped Initial Charm"
"Personalized Moment in Time Bracelets Silver, Triple Intertwined"